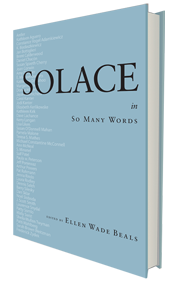 Writing is known to be a solitary profession. For the most part the writer has to be alone. But when it comes to critiquing your work and revising it, the voice in your head isn’t always right. That’s when it is particularly useful to have another’s opinion, especially if this other person is a serious writer too. Then once you have a finished work and you have it published or an opportunity to read it, once again, it’s nice to have other writers you can count on to be your readers and audience. I happen to think I belong to one of the best writing groups around. It’s called The Writers and meets in Glencoe, IL, on Wednesday mornings from September to June. The Writers has a long tradition. It was started soon after World War II. Each session features the critique of two manuscripts led by a moderator hired by The Writers. Moderators are usually on the staff of a nearby writing program and published writers themselves. Early members of the group included Alice Cromie, Eleanor Devine, Carol Spelius, Fran Podulka, Dolores Weinberg, M. M. M. Hayes, Lois Hauselman, Anne Brashler, Jane Howard, Rita Turow, Norma Connor, and June Rachuy Brindel, Rochelle Distelheim, and others whose names I am inadvertently omitting. That’s one thing about The Writers; members have been exacting with their words but less so with the records. Each year, there’s a new president (or as we do it now, co-president) and somehow in passing the torch and passing the files, there’s been some loss in documentation. This is dismaying but it also characteristic of the group in that it is always about the writing and less focused on the bureaucracy of it. We have only a few rules. Lucky that some of the early members like Lois, Norma, Fran and Rochelle are still in our ranks to guide us. Members of The Writers have written books and stories and poems and plays that have won awards. They’ve started literary magazines and presses. They (We) have helped each in their writing and in promoting each other. The Writers start the annual calendar each fall, and I always feel like a kid going back to school. The Writers gives me structure, support, and centers me. I could go on and on about the accomplishments of our members and of the moderators we hire to teach us, but I’d be certain to get some facts wrong and to leave out important stuff so I am taking the easy way out and showing you some of the books that have come out of this little group. 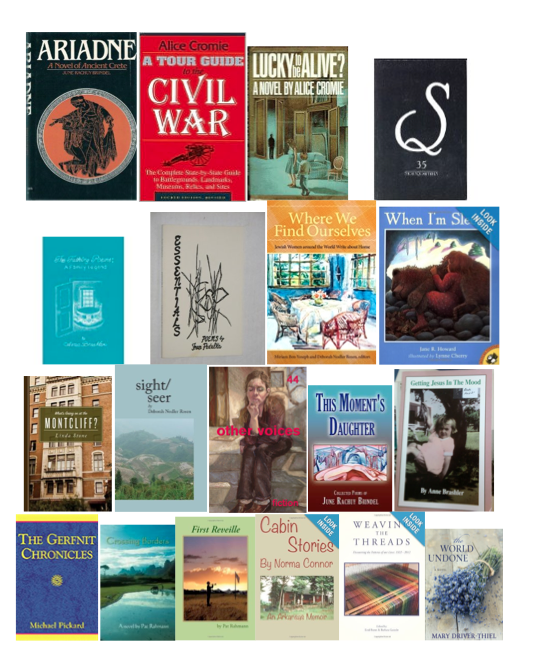 And this shows just some of the books and none of the prizes or distinctions our members have accrued, like the Dana Portfolio Award or the Faulkner-Wisdom Award and many others. I tell you, I am in with a great group.